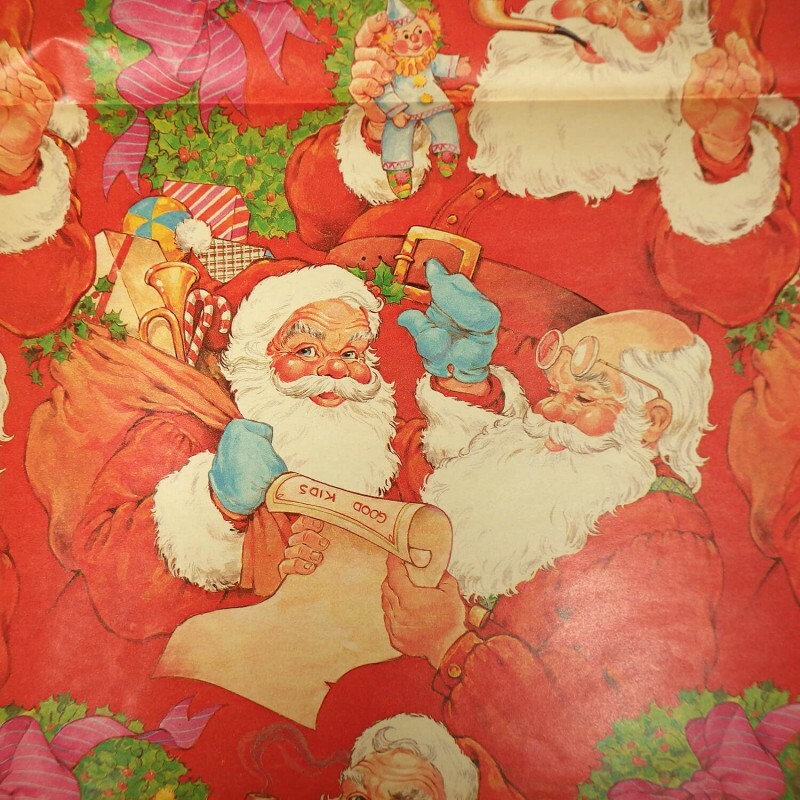 Santa is checking his Good Kids list on this partially used jumbo sheet of vintage Christmas wrapping paper. Original Full sheet measured approx. 40 inch long and 29 1/2 inch wide, with 27 inches of the original length remaining intact. (The remaining segment is 8 1/2 x 13.) Factory folded to approx. 15 inch x 10 inch. 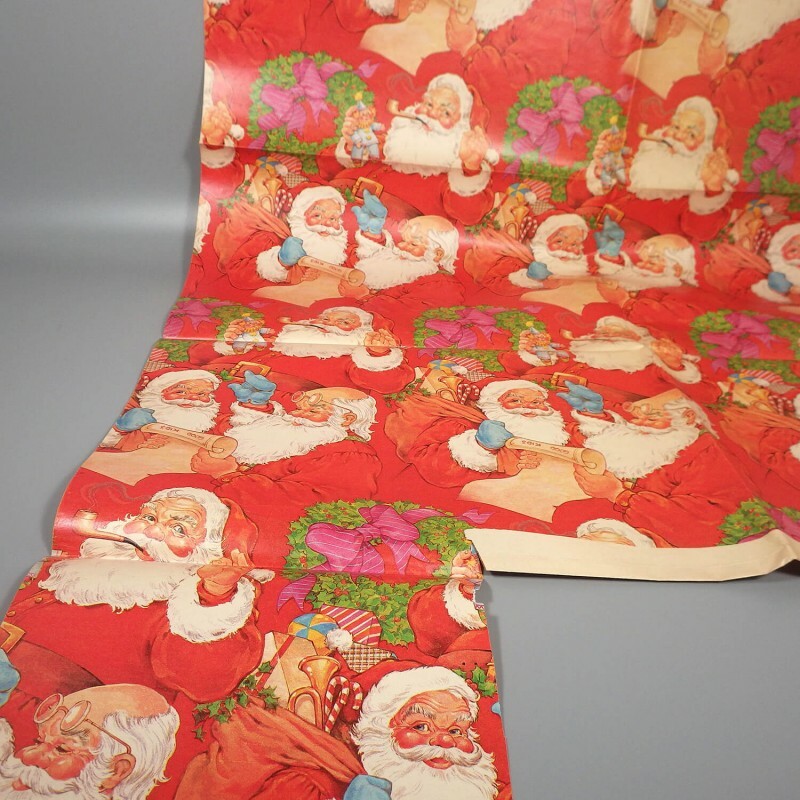 You'll find my other vintage Christmas wrapping paper below. 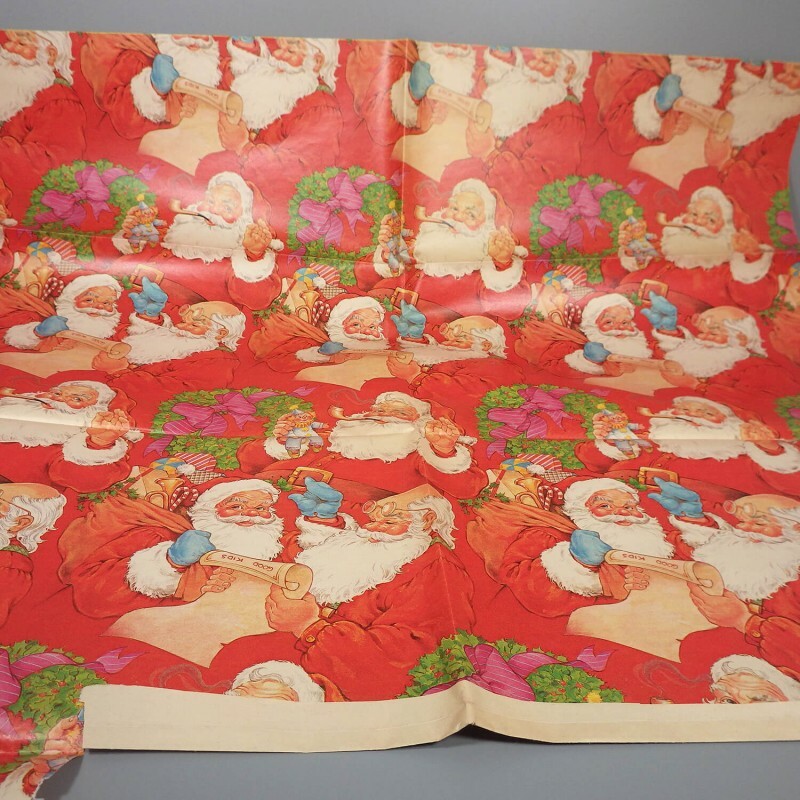 A roll of beautiful vintage Christmas Greetings wrapping paper filled with many of the images we associate with the holidays - Christmas trees, ornaments, wreaths, candles, stars, candy canes. As can be seen in the additional three photos, this roll is one of six that was in an unopened package of 1970s vintage paper (possibly earlier), with each roll offering 10 square feet of a different design. As this was not a known brand of paper (Sixty Acre Co.), the patterns a..
For anyone who loves trains and Christmas time, here's a vintage wrapping paper with a fun, whimsical delivery of Christmas gifts and joy of giving! Gold colored Merry Happy Line trains on a white foil paper background, Christmas elves dressed in green waving from the caboose and top of the train cars, with presents overflowing and Santa as he should be, smiling and waving from the train's engine. Two rolls worth of vintage paper measuring 26 inch wide and 30 inch long..